Neste is cooperating with leading Finnish companies in the development of a new Carbon Handprint tool. The aim of the project, which is coordinated by VTT, is to create common indicators for assessing environmental measures and for communicating them. Carbon Handprint project aims at developing a method and a tool with which the environmental benefits arising from products and business activities can be measured and information on them more effectively communicated. This type of information enables customers to compare companies and their products and helps them make sustainable choices. This is a new and developing area even at a global level. "A systematic and impartial tool that would make it easier for us to go to our customers and demonstrate the competitiveness of our products has been on our wish list for many years. It is a good thing that the method is based on positive impacts and on highlighting the benefits. Traditionally, for example carbon footprint has been used to describe the adverse effects of business operations and products," explains Sari Kuusisto, a life-cycle assessment expert at Neste. 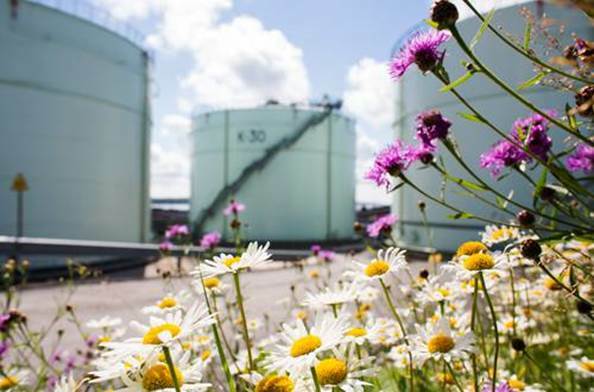 As a transformer of the oil sector and the world's biggest producer of renewable diesel, Neste possesses many years' experience and solid expertise particularly in life-cycle assessments of the environmental impacts of fuels. "It is not always easy to communicate the results of life-cycle assessments to customers, and we often need experts to interpret them. We believe that the Carbon Handprint tool will offer us the means to make it easier for the public to understand these issues," Kuusisto adds. "As regards the production of renewable fuels, we have for many years studied the environmental impacts at all stages of our value chain. We are happy to share our knowledge and expertise in the development of the Carbon Handprint tool," explains Pekka Tuovinen, Senior Advisor, Sustainability at Neste. VTT and Lappeenranta University of Technology will be jointly responsible for the research work included in the Carbon Handprint project. In addition to Neste, the following parties will take part in the company-specific assessments and the process of setting out the project aims: Nokia, KONE, Paptic, Gasum, Innofive, AM Finland, Biolan, the Association of Finnish Steel and Metal Producers, and Sitra. The majority of the project, 70 percent, will be funded by Tekes, the Finnish Funding Agency for Innovation. The two-year project will begin in September 2016.